Fibrocartilaginous Embolism (FCE) also known as a “spinal stroke” is rare but it is something that can happen to cats. Further medical studies need to be done in order to understand why this happens as most doctors just aren’t sure. If your cat suddenly lost function of one or more legs and doesn’t appear to be in pain, they may have had a spinal stroke. Fibrocartilaginous Embolism or “spinal stroke” is when a small piece of fibrous cartilage becomes loose and essentially lodges into the nerve cutting off blood supply to the spine. When this happens, the loss of oxygen, blood flow, and nutrients from the nerve(s) to the spine become impaired at which point it can die off from the spine itself. When the nerve dies, it presents itself in the body as partial or full paralysis of one or more limbs. This can be seen in kittens, adults, and senior cats. While it is not completely understood, FCE is typically caused by some kind of trauma to the spine. In some cases, it can come on suddenly with no actual direct trauma. However, for most cases, it happens typically after a fall, a bad jump, a fight with another animal, or being hit by a car. In mild cases, all the symptoms resolve within 48 hours and no changes need to be made. For more severe cases, these symptoms can last days, weeks, or even months and will require physical therapy to ensure recovery. Spinal Injuries & Inflamed Kidneys For cats over the age of 10, a wrong bump to the spine can cause inflamed or "enlarged" kidneys which can be deadly. Be sure they are seen by a vet ASAP for this reason. Unfortunately, there is no test that can be done for pets to show that FCE is present. Your vet will work on ruling out other possible causes including tumors, blood clots, kidney and heart disease, as well as do a series of x-rays and/or MRIs to see if any there is any visual damage or inflammation. If no cause for partial or full paralysis of the legs can be found, it is usually ruled out as FCE. With patience, support, and a care system around a cat with FCE, they can recover. The good news with FCE is that there is little to no pain or discomfort so the cat should be given time to see if they can make a partial or full recovery. Most cats do recover though all will not regain their motor skills completely. Adult cats tend to have the quickest recovery while kittens and seniors may need more time and TLC. It can take anywhere from a few weeks to several months going through rehabilitation to help their spine heal. The process of healing includes daily exercises that should be started as soon as possible, acupuncture, water therapy, and massages. If you have to (or choose to) treat your kitty at home, you will want to get a supportive harness (or use a towel) and have them walk several times a day with your help. You will have to do light massages and rotate their affected limbs every day. If they have trouble making it to the box on their own, please read Litter Box Alternatives For Injured Cats for information on how to help them. You will want to allow them to rest in a quiet, warm, and comfortable area where they cannot hurt themselves. Many opt to close their cat off in a bedroom and keep food and water bowls as well as a litter box close by. 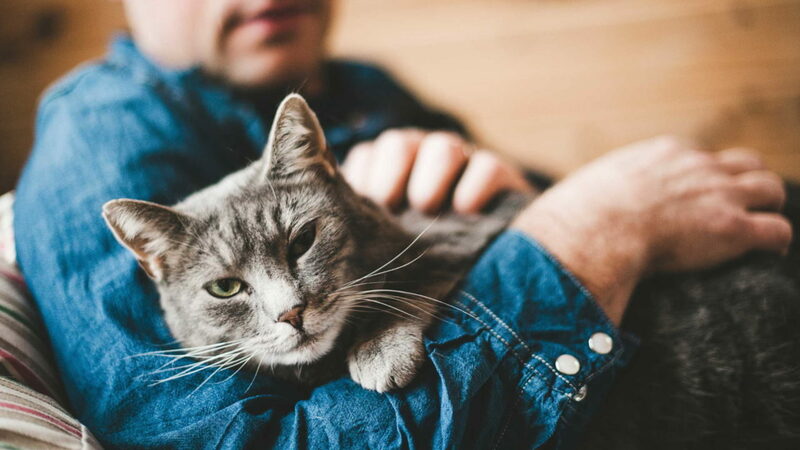 Check In With Your Vet While home care and rehabilitation can be done for FCE, it is best to work alongside a veterinarian to ensure your cat stays healthy. If your cat seems unwilling to eat or drink, it is imperative you get them to do both. Cats cannot go long without water (roughly 3 days) or food (about 2 to 3 weeks) before their organs will start shutting down. Cats who are overweight are at risk for a fatty liver when they go more than a few days without eating. You can encourage both eating and hydration by offering wet foods (the smellier the better) mixed with warm water to form a thick soup. Some cats might need to have a vet administer liquids through an IV the first week or two. You may want to consider supplementing their food with a daily liquid multivitamin and/or MSM to help the recovery along. If you notice your cat is having trouble urinating or having a bowel movement, be sure to mention this with your vet. Urinary tracts infections can result if they are not relieving their bladders enough. Have any questions or concerns? Let us know in the comments but be sure to speak with your vet! It is believed that my five year old cat had a spinal embolism about six months ago. At first he dragged one leg. It progressed and now he cannot use either back leg. I was told there was nothing I could do and euthanasia was the only alternative. I have started physical therapy on him on my own, and notice that he stretches both of his back legs on his own, and actually “bicycles” them when his is having a bowel movement. Are these promising signs that he has some control over his legs, or are these just some kind of automatic nerve response? Thanks for your comment Susan. It is hard to say as I cannot physically interact with him nor am I a trained veterinarian. It sounds like he is experiencing improvement. If a spinal stroke is addressed quickly enough, most cats do see a full recovery. Some can take time. He is only 5 so his recovery chances are much higher than a senior cat. If you can find a doctor who can work with you for physical therapy, it is worth looking into. MSM (sulfur) can help the process as well. You can read more about MSM here. With something like this, it is best to work alongside a veterinarian who has experience with FCE in cats.